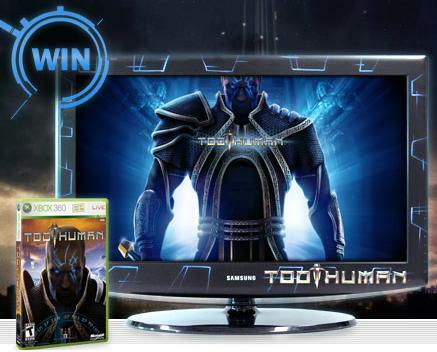 Gameplanet (New Zealand) is giving away a 32" Samsung and a copy of Too Human for the Xbox 360 to one lucky Kiwi. Too Human is the latest Silicon Knights game, thrusting you into the sandals of Norse Mythology, or at least, Silicon Knights' twist on the mythology. You are one of the pantheon of Norse gods, made that way by cybernetic enhancment, but compared to the others, you weren't as enhanced. They consider you to be Too Human. From the looks of it, the game deserves a brand spankin new TV. So here's your chance to win both. You must have a New Zealand address to enter. Contest ends August 28th, and you can enter once per day until then by answering their little daily trivia. Good luck.